Whistler, British Columbia, has been voted one of the top resorts in North America by major ski magazines since the mid 1990's. Whistler really exploded on the international travel scene when it hosted some events during the 2010 Winter Olympics. For gay travelers this destination has it all, anytime of the year. Whistler Village has all the necessary amenities including hotels, condo rentals, restaurants, bars, clothing stores, equipment rentals and more. Throughout the summer months the world famous Whistler Bike Park draws mountain biking enthusiasts and professional riders from all over the world. Furthermore, there are more than 200 marked trails. That's a lot of opportunity for hiking among some of the most beautiful mountain scenery in the world! During the winter season the village celebrates the Annual Whistler Pride and Ski Festival. Cool trivia: Did you know that the area informally acquired the name “Whistler” due to the call of the hoary marmot and owes its popularity to Myrtle and Alex Philip, who in 1914 purchased 10 acres of land on Alta Lake and established a lodge there? 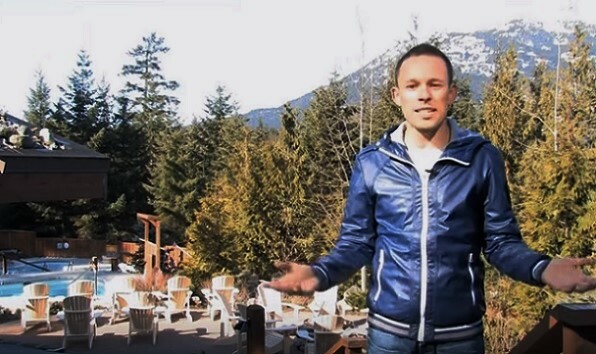 Come take a quick tour of this fabulous destination with the funny host of Gayosphere, Josh Rimer. Enjoy!